Michel's apparatus for the distillation of sulphur. The purer the sulphur, the better would be the gunpowder. In the 19th century, M. Michel, one of the principle refiners of sulphur at Marseilles, introduced this improved process of purification. 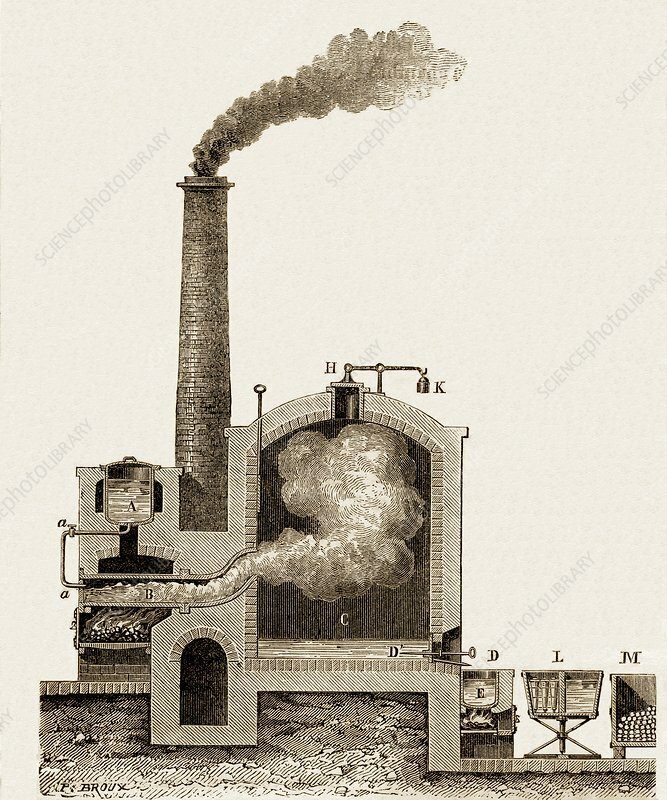 The apparatus consisted of a container containing crushed sulphur which after heating became liquid and then flowed into the retort below where it was heated further and converted into vapour. This passed into a condensing chamber where it was sublimed into solid sulphur in the form of “flowers of sulphur”. The final product was pure, burnt without residue and provided all the sulphur used in French gunpowder.